Bodice chains and custom jewelry. 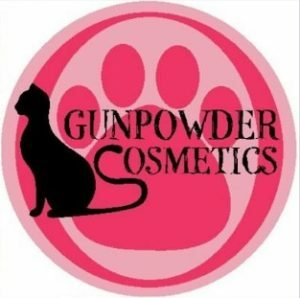 Here at Gunpowder Cosmetics we are passionate about a few things: cats, health and beauty, and having a good time. We love making beauty products with fun fragrances from quality ingredients, and we want to share that with others who are looking to improve or add to some aspect of their beauty regimen, whether it’s skin care, hair care, or taking a relaxing bath. 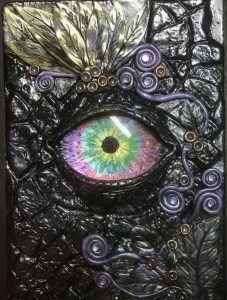 Glass cabochons are used as dragon eyes. Polymer clay forms the rest of the fantasy. Zombie fairies with mummified looking skin. 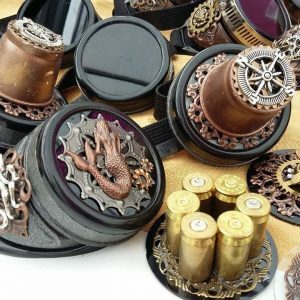 Handcrafted accessories with a Victorian Steampunk flair. 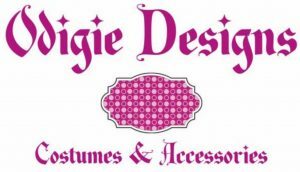 recycled and upcycled garments and accessories for all your costuming needs. 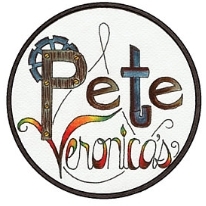 Affordable handmade steampunk zipper jewelry, metal steampunk sculptures and steampunk home decor. Sculpture by Michael Riley, who creates found-object art in various forms and inspirations. Roundhouse Sculptures are created with items that have lived their life and are about to be recycled or thrown out. I just recycle these items into artfully designed objects. I will also make trains, bugs, spaceships, zeppelins, fish, whatever out of items you have lying about the house. Original art jewelry, luxury fascinators, full-sized hats, gloves, parasols and other accessories and accoutrements for the discerning Steam Lady and Gentleman. New for 2019 is the Teacup and Saucer Holster. 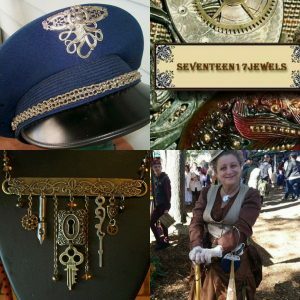 Since 2006, Spectra Nova Ltd. has been making one of a kind up-cycled jewelry and costume accessories with a unique and authentic look. Many of our products include some variety of vintage and/or antique materials. 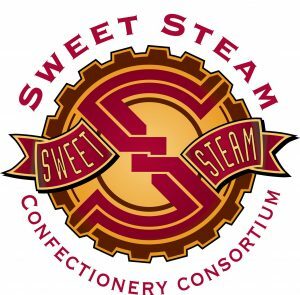 Originally we just wanted a way to hang out with the fun people at steampunk conventions. 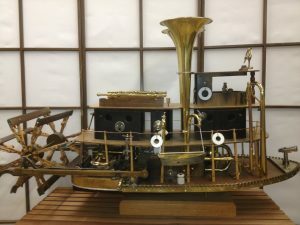 We thought about several ideas–an airship crew, making and selling various steampunk accessories–but everything we came up with was already being done, and done well, by others. But nobody was making chocolate. What better way to make people happy than by creating some delicious and innovative chocolates? Twisted Willow Soap Company believes in producing a quality, luxury product that is good for the body, mind, soul, and spirit. 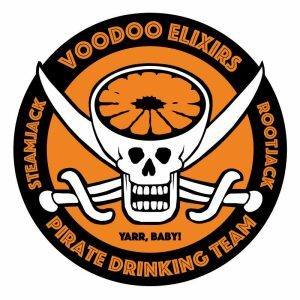 We are the purveyors of RootJack (our Pirate Energy Drink); SteamJack (the energy drink of airship pirates); our newest flavor WarpJack (this is space themed). 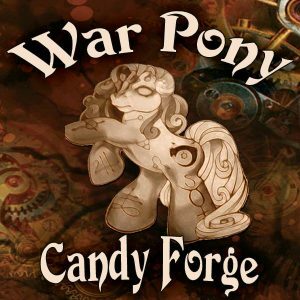 War Pony Sweater Forge is a home-based business by fiber artist Diana Williams. 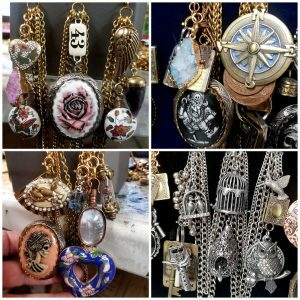 She creates wearable works of upcycled art. Featuring hand-dyed elements, wet and needle felting and lots of intricate patterning, no two pieces are ever the same.